This article is from ECHO Asia Note # 31. Saving your own seeds can be a cost-effective way to access crop seed for future planting and to help maintain the planet’s plant biodiversity. Whether you plant your own saved seeds, give them away to friends and neighbors, or distribute them through your organization, the ability to effectively harvest, clean, prepare, dry, and store seeds is important to help maintain seed germination and viability. 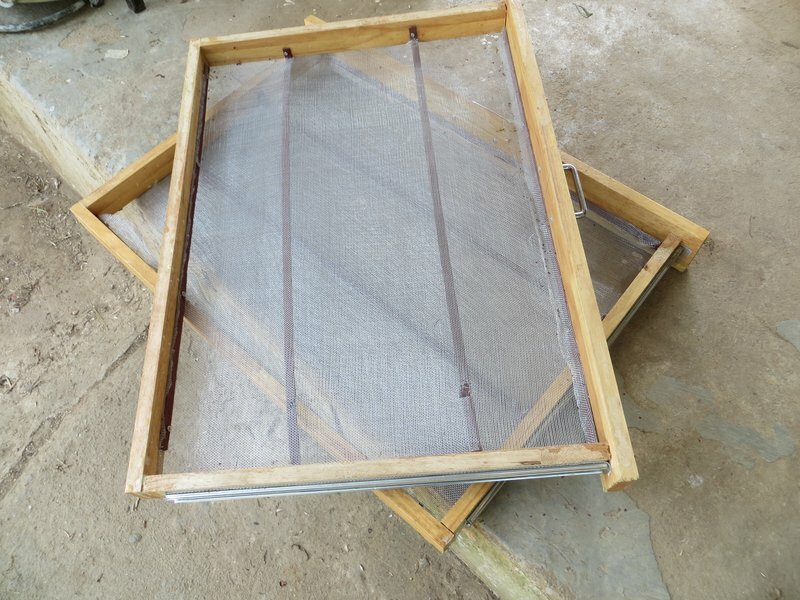 This note will focus on the importance of drying seeds to proper seed moisture content, and will provide details about two low-cost seed dryers that we have built and use at the ECHO Asia Impact Center Seed Bank. 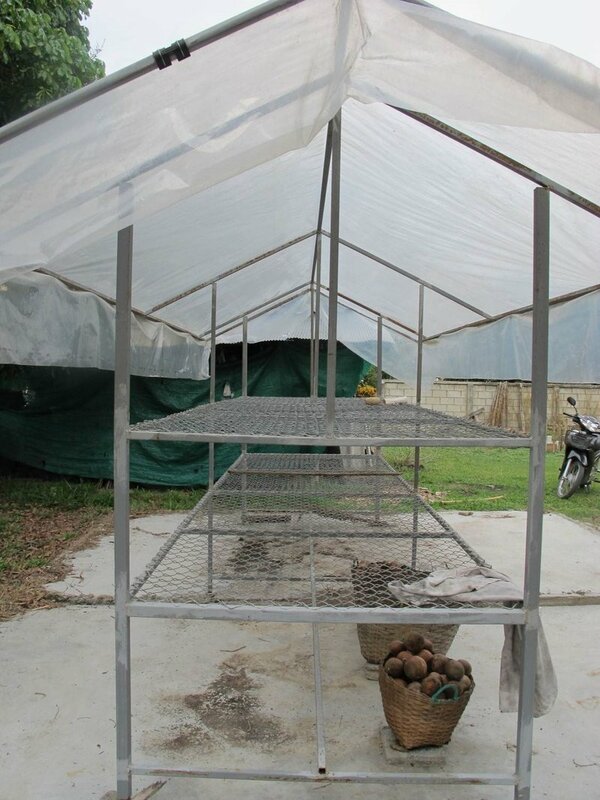 Figure 1: Outdoor pre-drying area for seeds utilizing opaque plastic to prevent sun damage while keeping seeds dry. Recalcitrant seeds lose germination capacity rapidly when exposed to dry air, in most cases within ten days of harvest. Seed moisture content is the amount of water in a seed; usually expressed as a percentage (%). Seed moisture content determination is done using either equilibrium moisture content predictions (see next term), or by the use of a seed moisture meter, or through destructive sampling (i.e. 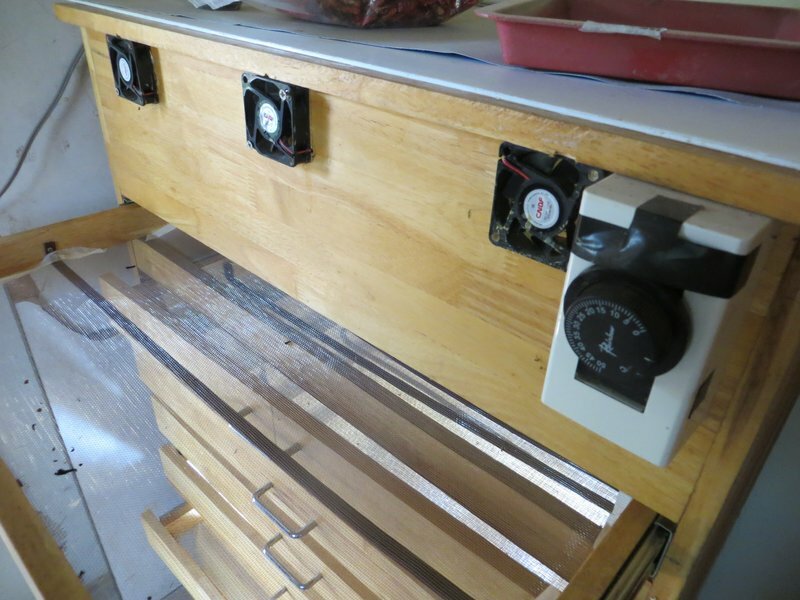 using an oven to burn off all water in the seed). See Rao et al. 2006 for more information. Equilibrium moisture content refers to the way seeds left in ambient environmental conditions will equilibrate with the relative humidity in the environment, changing their seed moisture content (expressed as a %). Seed drying is the reduction of seed moisture content to recommended levels for seed storage, using non-destructive methods. Seeds dry at an exponential rate until the equilibrium moisture content is reached. 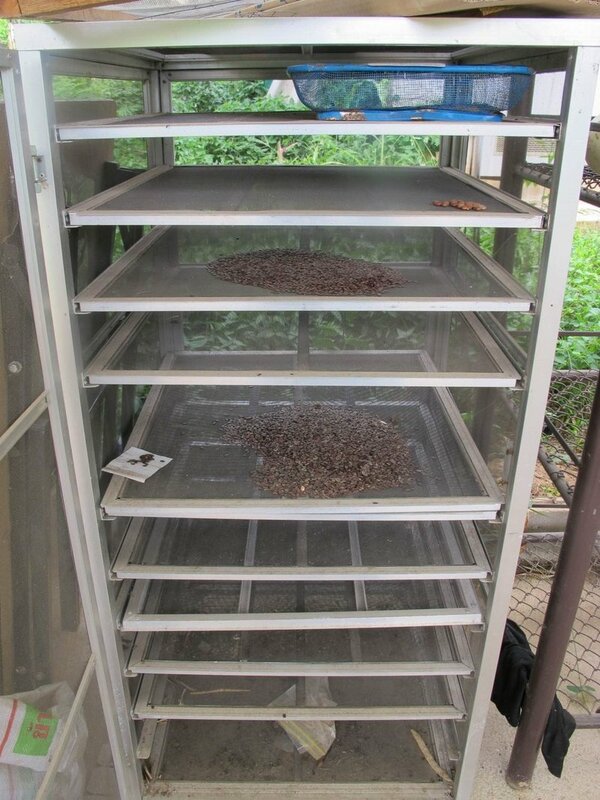 Figure 2: Pre-drying shelves used to pre-dry seeds in a controlled environment before they go into the seed dryer. Orthodox seeds that are sufficiently dried will retain their viability for longer periods of storage in seed banks. In general, orthodox seeds should be dried to between 3% and 7% moisture content for long-term storage, although some seeds (such as soybeans) may experience reduced viability at moisture contents below 8%. 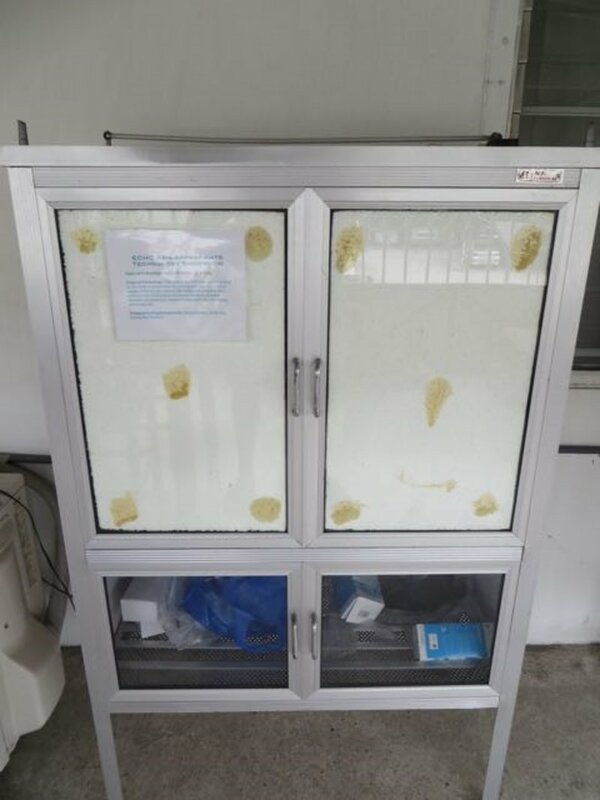 Realistically, we at the ECHO Asia Impact Center Seed Bank are rarely able to dry seeds below 10% moisture content during the rainy season, owing to relative humidity levels of 70-80%. Recalcitrant seeds, which include a large number of tropical tree and fruit species, should not be dried or exposed to dry air, and therefore, are beyond the scope of this note. Determining seed moisture contents for orthodox seeds is also beyond the scope of this note, but many good online resources exist to help ascertain targeted seed moisture content for a particular species, as well as how to scientifically calculate the actual seed moisture contents. See FAO’s excellent Manual of Seed Handling in Genebanks, Chapters III and IV, for more information (Rao et al. 2006). Please note that seeds can become damaged during drying if they are dried too quickly or at too high a temperature. In general, ensure that the drying temperature does not exceed 41⁰C (105⁰F) for tree or high-oil seeds, and 54⁰C (130⁰F) for most other orthodox seeds. Pre-drying in a slightly shaded environment that is protected from wind and rain can help reduce the time seeds need to spend in a seed dryer. 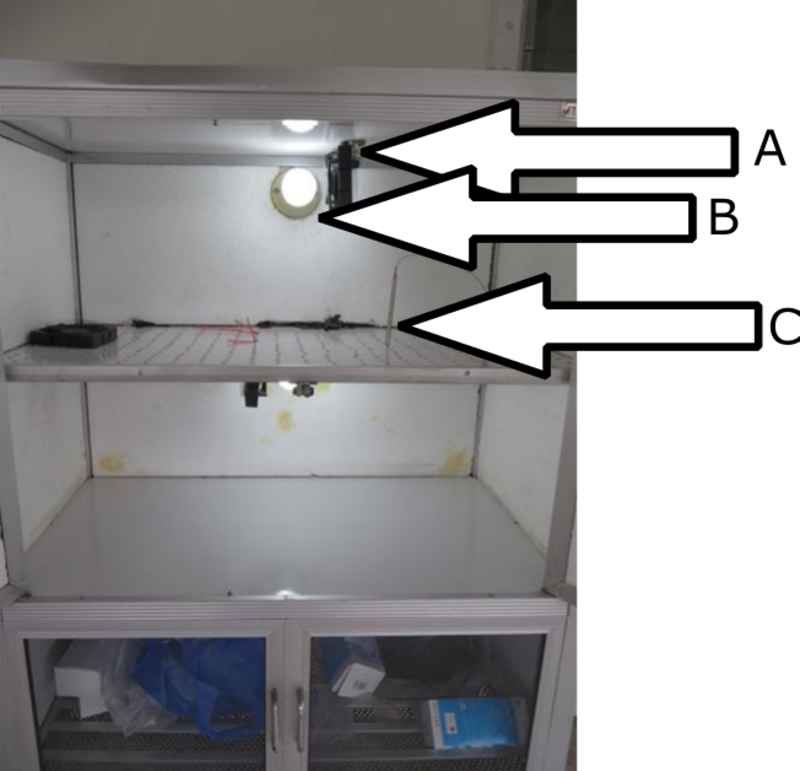 Figures 1 and 2 show ECHO Asia’s pre-drying areas, under opaque plastic and in a custom-built screened pre-drying cabinet. This note describes how to create a low-cost seed dryer to remove seed moisture content and thereby increase stored seed viability. However, if you are going to invest the time and money to dry seeds, once they are dried you must immediately store them in vacuum-sealed or hermetic containers. If left out, dry seeds will again pick up moisture from the outside air. Seed viability and germination remain highest when seeds with low moisture content are stored in vacuum-sealed containers at low temperatures. 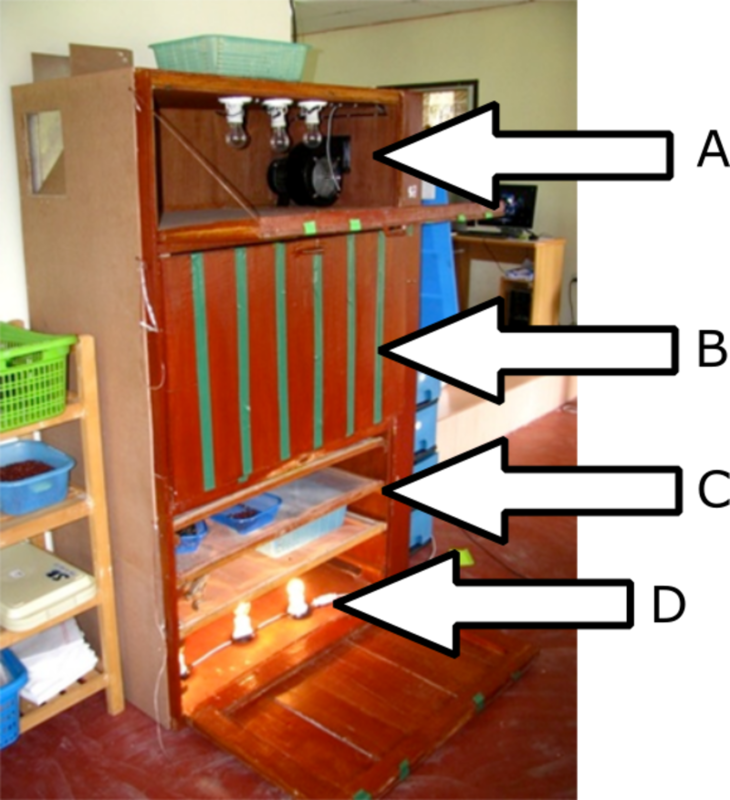 Figure 3: ECHO Asia Seed Dryer #1 utilizing local lumber, incandescent bulbs, custom-built shelves, squirrel fan, and heating chamber. 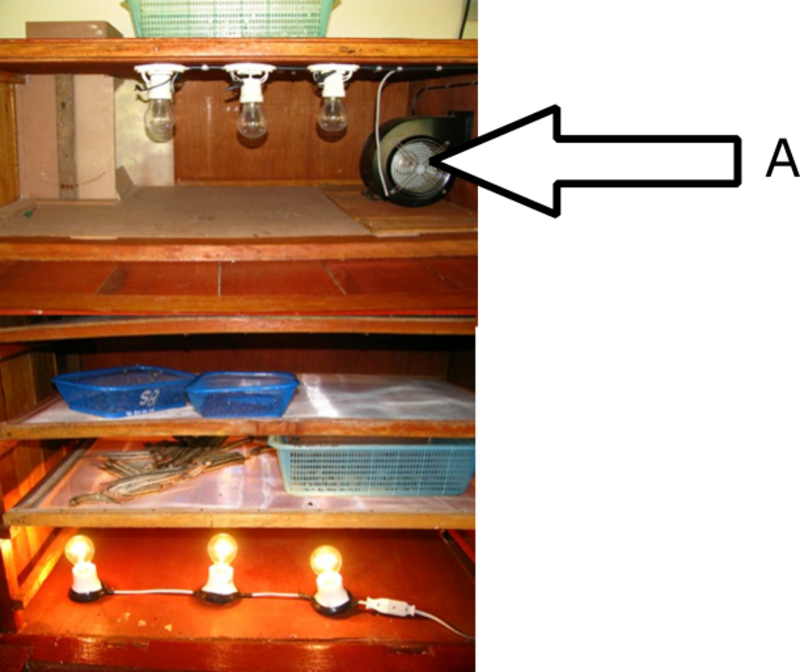 A. Drying compartment with additional lights and fan; vent is on far left. B. Additional seed drying compartment. 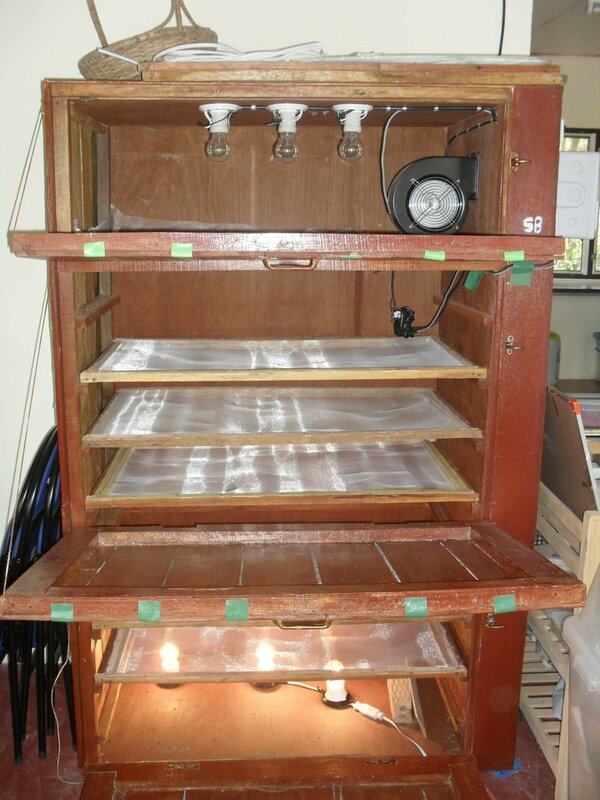 C. Seed drying compartment using screen shelves. D. Incandescent light bulbs provide heat. 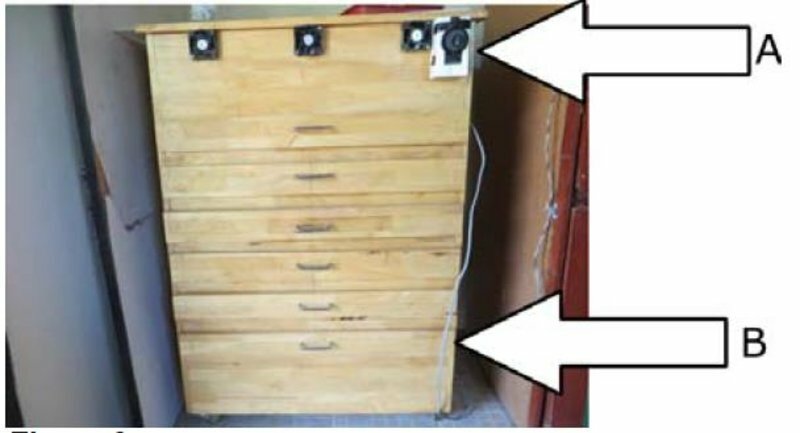 the heating source, a container or box for maintaining the heat, screens on which to place seeds, a fan to circulate air (optional), and a vent for releasing moist air (optional). Basically, heated air from a heating element flows upward due to convection or is circulated around an enclosed space using a fan; this heating element is set to a specific temperature so as not to damage seeds. As the warm air moves through the chamber, seeds release moisture because warm air holds more moisture than cold air. If the chamber is very air-tight, your seed dryer will be more efficient with a vent to give off the warm, moisture-laden air, since seeds will equilibrate to the ambient relative humidity. 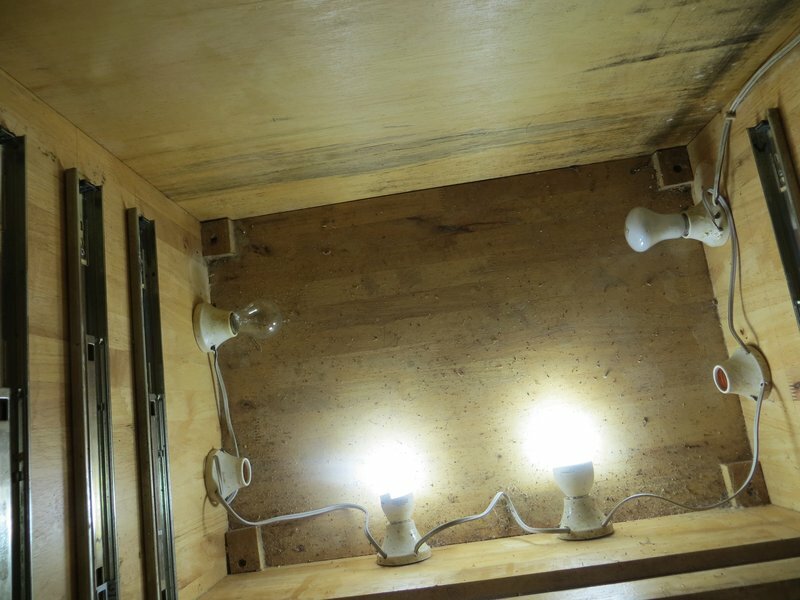 Figure 4: Close-up of ECHO Asia Seed Dryer #1 utilizing local lumber, incandescent bulbs, custom-built shelves, squirrel fan and heating chamber. 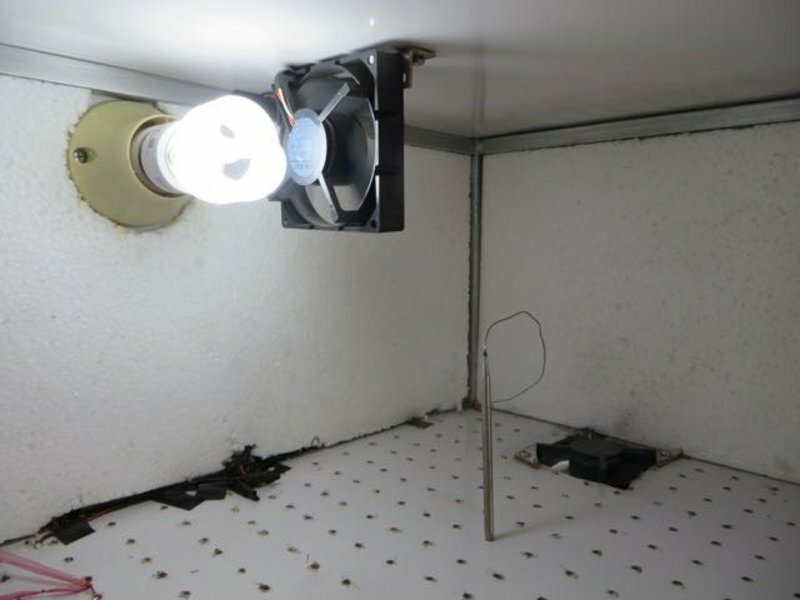 A. Drying compartment with additional lights and fan; vent is on far left. periods of the hot season, a seed dryer is hardly necessary. Learning how to dry seeds properly requires trial and error, and is both an art and a science. 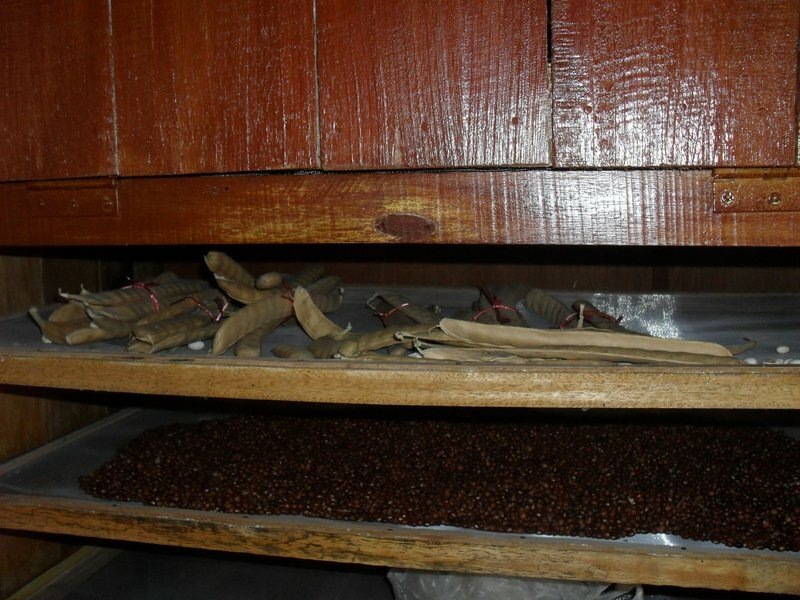 With time and experience, the ECHO Asia Seed Bank Staff have developed a keen finesse for drying seeds and approximating seed moisture content. Figure 5: Close up of shelves and large seed pods drying in Seed Dryer #1.
a seed dryer can be built from commonly available materials and can serve many concurrent purposes! Figure 6: ECHO Asia Seed Dryer #1 showing custom made shelves, light bulbs, and squirrel fan for air fl ow before addition of vent. The fan blows heated air from the top to the bottom via a false wall to help recirculate heated air. Figure 7: Plan of modifi cations for the Seed Dryer #1, including the addition of an airfl ow intake and exhaust. Figure 8: ECHO Asia Seed Dryer #2 with all shelves closed. A. Thermostat and ventilation fans. B. Drying shelves. its ability to hold more moisture, and makes the inside of the chamber moist. Opening a vent periodically allows moist air to escape and replaces it with fresh air. If you don’t have a vent, this can also be accomplished by opening the chamber door or shelves every so often. Figure 9: Looking down into Seed Dryer #2 at heating source. Not all light bulbs are necessary to create the desired amount of heat. 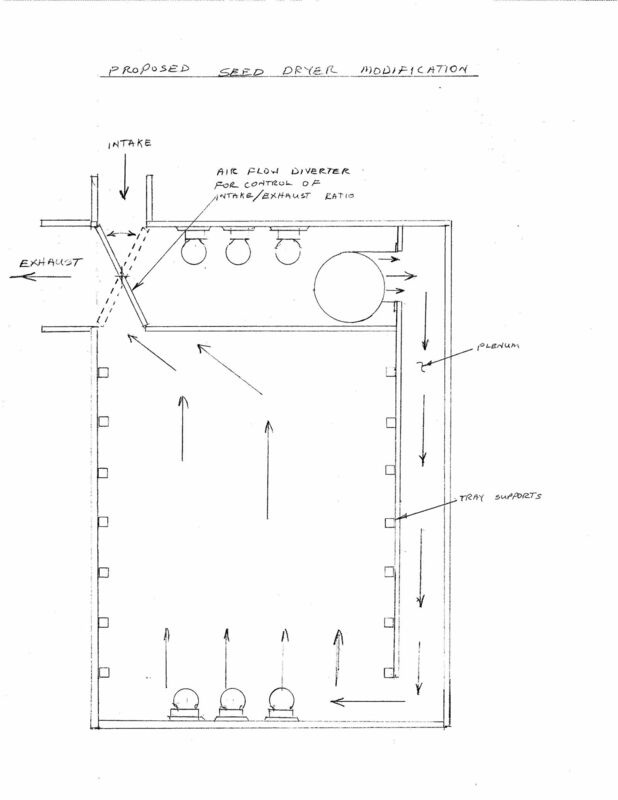 Figure 10: Showing hardware for removable shelves of Seed Dryer #2.
incorporates a separate heating area at the top to heat and exchange air (Figures 6 and 7 on Page 12). Figure 11: Close up of thermostat, fans, and removableshelves of Seed Dryer #2.
one has light bulbs for heating (Figure 9), a thermostat, and DC-computer fans to circulate the air (Figure 10). Whereas Seed Dryer #1 is unmovable, this dryer has caster wheels that allow us to move it where needed. Hardware is high quality (Figure 11) and provides for smooth operation, but is somewhat difficult to remove from the cabinet for cleaning (Figure 12). Figure 12: Close up of shelves using screen material in Seed Dryer #2.
essentially a seed germination cabinet with a thermostat (Figure 14) to precisely control temperatures, a vent to allow for release of saturated air, DC-computer fans to circulate air within the cabinet (Figure 15), and a number of holes drilled into the pre-existing shelf in the chamber to aid in airflow (Figure 16). 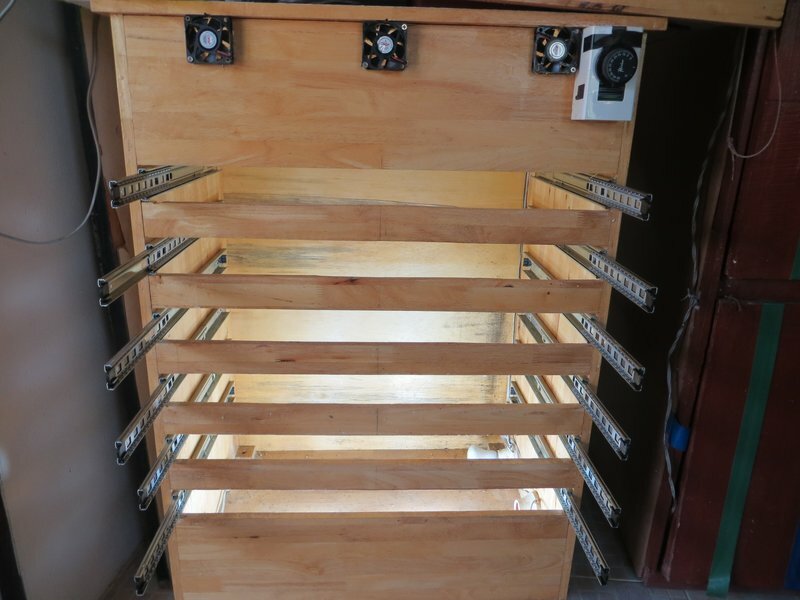 Advantages of this design are that: 1) it can double as a seed germination cabinet, and 2) with pre-existing insulation, is extremely heat efficient. A drawback is that it is limited in size to the pre-existing size of the kitchen cabinet that was used in its construction. Figure 13: Modular Seed Dryer #3 with original design based around ECHO Asia’s Seed Germination Chamber. Table 1: Staff feedback about the pros and cons of Seed Dryers #1 and #2, as well as their parameters for creating an ideal seed dryer in the future. ECHO Asia Seed Bank staff members provided the following feedback on the designs and operability of Seed Dryer #1 and Seed Dryer #2. They also shared their parameters for an ideal seed dryer (Table 1). We would like to combine some of the best features of both to create a new seed dryer in the future. 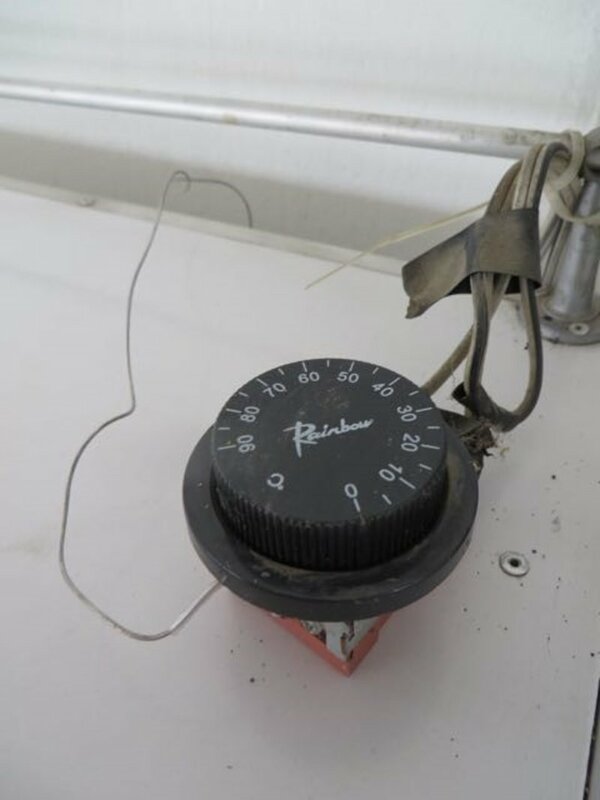 Figure 14: Thermostat to control heating temperatures inside Seed Dryer #3. Figure 15: Seed Dryer #3 showing: A. Fans for air circulation. B. Light bulbs for heating. C. Thermostat. fight to protect the planet’s crop seed biodiversity. Figure 16: Close up of light bulbs, fans, and thermostat in Seed Dryer #3.